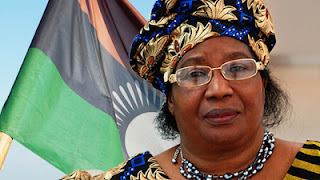 Joyce Banda's been busy in the month since she became the President of Malawi. Her latest move: on Friday she reversed her country's policy regarding the International Criminal Court. But this year the new President, Banda, hid the welcome mat. A month ago today, Banda was sworn in as the 1st woman in southern Africa to lead her country, and the 3d woman in Africa to be head of state; in this, she follows 2011 Nobel Peace Prizewinner Ellen Johnson Sirleaf, Liberia's President since 2006, and an IntLawGrrls foremother, Zewditu I, Empress of Ethiopia from 1916 to 1930. Banda has asked the African Union not to permit Bashir to attend a summit set to be held in Malawi later this year. A representative of Sudan responded that it has a "right" to attend the summit. Bashir's presence last year, Banda asserted, "cost Malawi US$ 350.7 million from the US Millennium Challenge Corporation meant to rejuvenate Malawi's fledgling power supply." 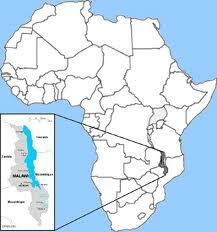 The loss is significant for Malawi, which ranks 171 out of 187 countries measured in the U.N. Development Programme's International Development Index. ► Averted an reported coup plot in the days after her predecessor's death. ► Moved Britain to re-warm diplomatic relations, which chilled last year. ► Fired the national police chief, appointed by her predecessor and "accused of instilling a climate of fear including arbitrary arrests and the shooting dead of 19 people during anti-government protests last year." ► Fired the wife of her predecessor; he'd appointed her to a lucrative foundation post. ► Reaffirmed her commitment to women's rights by referring to her own "'brave'" decision to leave an abusive marriage.